The term hearing loss describes a problem with a child’s hearing. Hearing loss can range from mild to profound. A child with a mild hearing loss may be able to understand the general idea of what is being said but may miss certain sounds or specific details. That child may also have trouble in noisy or distracting environments. A child who is deaf has no hearing at all. A child can also have any level of severity of hearing loss between mild hearing loss and deafness. How Does Hearing Loss Impact Speech and Language Development? I ing am and I ould oh e um oro. Ok, did you understand that? No, probably not. That sentence was spoken as “I think Sam and I should go get some poprocks”. That gives you an idea of how hard it can be for a child to not hear even just a few sounds. These children may have trouble understanding what is being said to them, they may not be able to follow directions, and they may have trouble building their vocabularies and learning grammatical structures. Their speech may also be very hard to understand since they don’t hear some of the sounds they should be saying. A child with a severe or profound hearing loss can have even larger problems with speech and language. Imagine not being able to hear anything at all! If our brains do not receive language when we are young, we have a much harder time learning it later on. (That’s why it’s so hard to learn a second language as an adult!). Children with severe or profound hearing loss need to be exposed to other forms of language, like sign language, so they do not lose the ability to learn language. Can Ear Infections and Fluid Affect Hearing? Absolutely! When your child has an ear infection, he has fluid inside his middle ear. The ear works through tiny moving pieces inside the middle ear. When the ear fills up with fluid, those tiny pieces can’t move as well and the sound doesn’t pass to the brain as well. Imagine turning on the radio and submerging your ears into a bath or pool. You may still be able to hear that there is music playing, but you probably won’t be able to understand the lyrics anymore. That’s how it is when children have fluid in their ears. When a child has an ear infection, there is fluid in the ear and it is infected. However, the antibiotics that your child’s doctor will prescribe may only clear up the infection but leave the fluid. Some children have fluid in their ears constantly, even when it’s not infected. This can cause major speech and language delays as described above in the description of a mild hearing loss. It is important to have your doctor check your child’s ears regularly (at your check-ups) to make sure he doesn’t have fluid hanging around where it shouldn’t be. What Should I Do If I Suspect My Child has a Hearing Loss? If you are concerned about your child’s hearing, you should speak with your child’s pediatrician. He or she can screen your child’s hearing to see if there is a problem. You can also do some informal testing around your house. Try standing behind your child while he/she is distracted and making noise to see if he responds. You can play music from a favorite toy, say the child’s name quietly, or make different speech sounds to see which ones he responds to. Make sure to do this several different times to make sure your child isn’t just ignoring you. An audiologist can perform a full hearing evaluation on children who have suspected hearing loss. They can even do this for children who cannot participate in a typical screening. They are able to monitor brain waves as sound is introduced to see if the child’s brain heard the sound. Pretty cool! You may have to have a doctor’s referral to see an audiologist so speak to your pediatrician first. What Can Be Done for Children with Hearing Loss? As the parent of a child with hearing loss, one of your first jobs will be to decide what you’re going to do about it. Fortunately, you have many options and your audiologist and speech-language pathologist should be able to help you through that decision making-process. The only key is to intervene as early as possible. Children who are identified at birth or shortly thereafter should begin therapy by 6 months of age. Children who are identified later should begin therapy as soon as possible. Here are some decisions that you will need to make for your child. Keep in mind that the best method for you depends on your family, your culture, your preferences, your child, and your situation. Everyone is different so don’t feel like you have to fit into one of these molds perfectly. There are many amazing forms of amplification for children (and adults) with hearing loss. The technology is getting better every day. Hearing aids can be placed on children as young as 3-4 weeks of age and cochlear implants can actually provide auditory (sound) input to children who are profoundly deaf and do not benefit from hearing aid amplification. However, you also have the choice not to amplify your child. Parents who choose this option are often found in deaf communities. If a child is growing up in an environment where everyone around them is speaking sign language (fluently), that child will be exposed to language through the use of sign language and doesn’t necessarily need speech or hearing to function and thrive within their community. However, if your child does not have people who are fluent in sign language around them constantly, this may not be the right choice for you. Children need to be exposed to language and it should be a full and robust language, not just the 20 signs you learned from the Baby Sign Language video. I’m not going to attempt to go over all of the different types of amplification you can choose from. First of all, I am not an expert in this area and secondly, the technology is constantly changing. Only a licensed audiologist will be able to evaluate your child’s loss and tell you the best options for amplification. Work with your audiologist to find something that works for you and your family. Nope, you’re not done yet. 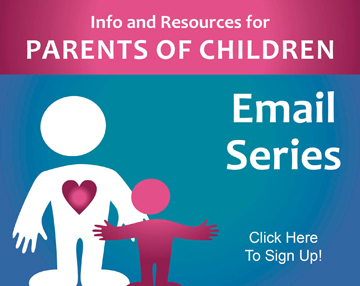 Now that you’ve decided on a type of amplification, you need to decide how you and your child will communicate. There are a few different common methods to choose from, though keep in mind that some families do a combination of multiple approaches. Again, as far as I am aware, there is no research showing that one of these is superior to the rest. It depends on your family’s values and beliefs. However, if your goal is for your child to be able to speak as though he does not have a hearing loss, some of the approaches may work better for that. Auditory-Verbal Therapy/Approach: Children who use this approach are not exposed to sign language or visual cues to help them use their hearing. They are taught to use whatever hearing they have left or have after amplification to learn how to listen and speak. 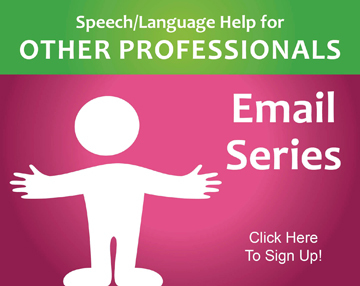 This approach has a heavy emphasis on teaching listening skills. 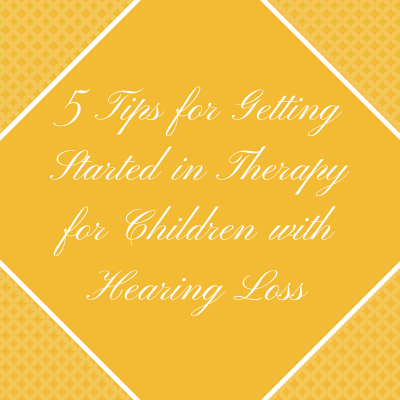 Some professionals believe that this type of therapy produces better outcomes for speech production in children with hearing loss. Keep in mind that this approach cannot be used until the child has been amplified enough to be able to hear speech sounds and that some children with severe to profound hearing loss may not benefit from this approach alone. Before successful amplification and listening skills have been established, language should be modeled for the child using sign language so the child is exposed to accessible language models early on. Sign Language Only Approach: In this approach, the children and caretakers all use sign language exclusively. Most commonly, families who choose this method may have deaf parents or caregivers or the child may be attending a school for the deaf . Outside of the Deaf Community this approach is not very common. Often, even deaf children of deaf parents engage in spoken language development therapies to some extent and are exposed to listening and spoken language to the best of the child’s ability. Combination Approaches: There are many other approaches that fall into the category of “combination approaches”. These approaches use spoken language with some sort of visual support, such as using sign language or hand cues next to the mouth. They may also include other forms of language to facilitate learning, such as written language and pictures. Simultaneous Communication is the use of spoken English with sign language supports provided in unison. Meaning all instruction and conversations happen in both sign language and spoken English at the same time. One drawback to this method is the limited ability to communicate in two languages at once, simultaneously, while providing accurate language models. Simultaneous Communication is known for producing many structural and grammatical errors even when used by skilled professionals. The benefit is exposure to both an auditory and visual message for children who have a hearing loss. 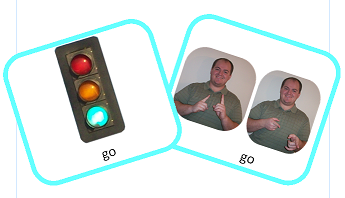 This is believed to support language development in both spoken English and sign language. Total Communication is similar to Simultaneous Communication in that both sign language and spoken language are often used together. The difference is that when using a Total Communication approach you are willing to use “whatever means are necessary to get your message across clearly”. This may mean any single or combination of signing, speaking, visual supports, cued speech, writing, listening, media and technology, role play, pictures, and more. The benefit of Total Communication is that it allows for more flexibility to meet the individual speaking and listening needs/abilities of each child ensuring, above all, that the message is clear and accessible. How Does Speech Therapy Work for Hearing Loss? Children with hearing loss should definitely be enrolled in speech therapy at a young age to ensure that they develop speech and language skills as normally as possible. There are many things we can do in speech therapy to help a child with hearing loss. 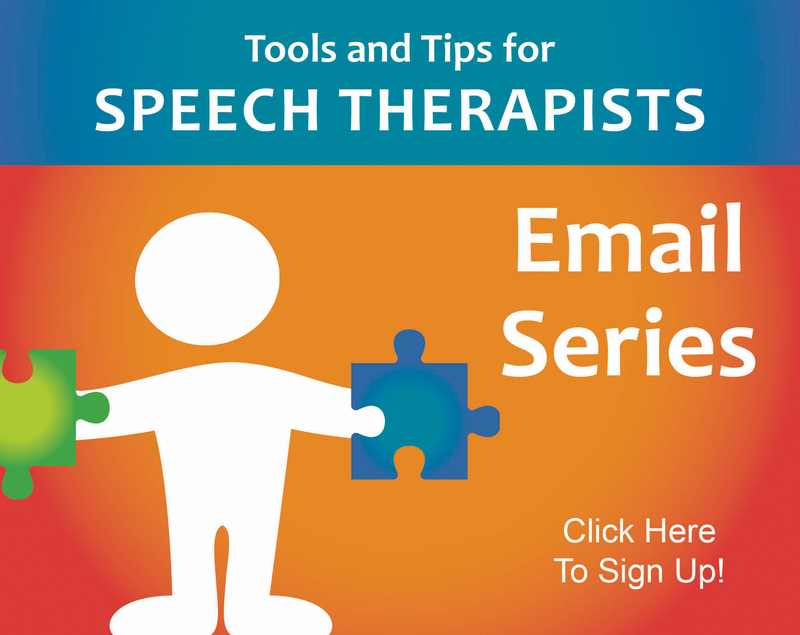 At the beginning of each session, the speech-language pathologist (SLP) should visually inspect the amplification equipment (e.g., hearing aids, cochlear implant) and “check the quality of the signal of hearing aids using stetaclips” (p. 54). As appropriate, the SLP should consult with other relevant professionals (e.g., teacher of the deaf, educational audiologist) (Grade C Recommendation). Intervention to develop early communication skills (e.g., eye contact, initiation, turn-taking) (Grade C Recommendation). Approaches to develop social and interaction skills (e.g., non-verbal communication, discourse skills, social communication skills, and compensatory strategies for communicative deficits) (Grade C Recommendation). Direct or indirect strategies to facilitate the development of receptive and expressive language skills (Grade C Recommendation). Environmental modifications to make language and communication more accessible (Grade C Recommendation). Auditory training (Grade B Recommendation). Direct treatment to improve the child’s speech or sign intelligibility (Grade B Recommendation). Speech reading (Grade C Recommendation). RCSLT Clinical Guidelines. Bicester, Speechmark Publishing Ltd.
lots of free resources, with access to even more stuff for just $32/year. Welcome to The Institute for Enhanced Classroom Hearing! A not for profit organization ECH relies almost entirely on public donations to accomplish its mission. These 3 websites are my favorites, and I use the resources from them often.